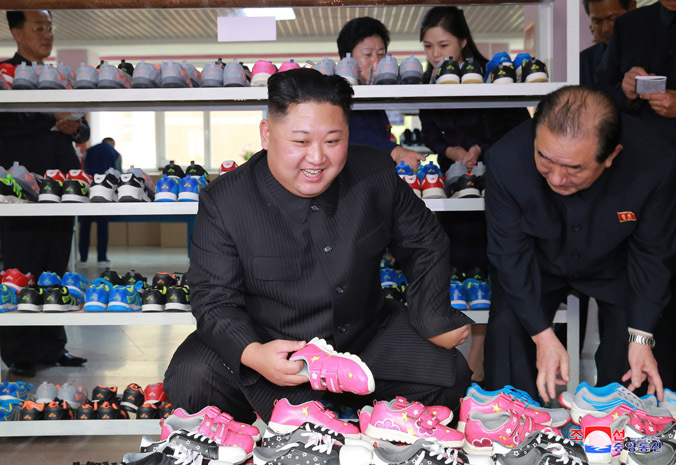 Respected Supreme Leader Kim Jong Un gave field guidance to the remodeled Ryuwon Footwear Factory. He received a floral basket from the members of the Board of Directors of the Kim Il Sung-Kim Jong Il Foundation. He received a letter from the participants in the third enlarged meeting of the Board of Directors of theKim Il Sung-Kim Jong Il Foundation. 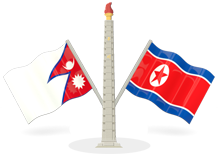 There took place the third enlarged meeting of the Board of Directors of the Kim Il Sung-Kim Jong Il Foundation in Pyongyang. Artistes of the State Merited Chorus, the Moranbong Band and the Wangjaesan Art Troupe began their performance in Kanggye City, Jagang Province. The Pan-Korean Emergency Measure Committee for Opposing Nuclear War Drills against the DPRK warned that the U.S. and south Korean puppet warmongers bringing clouds of a nuclear war will meet the most miserable death. A commentary discloses the injustice of the "theory of nuclear threat from north" touted by the U.S. disturbing the world. An article exposes the crimes committed by traitor Lee Myung Bak, dirty political trickster and fascist dictator. 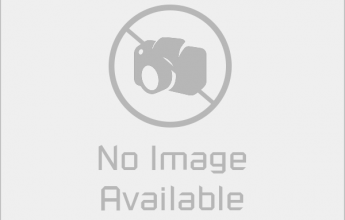 It carries the photos of Kim Jong Un giving field guidance to the remodeled Ryuwon Footwear Factory. He received congratulatory messages form different countries on the occasion of the 72nd founding anniversary of the Workers' Party of Korea. Various countries denounced the reckless remarks of the U.S. chief executive calling for "total destruction" of the DPRK. An article says that combating deep-rooted evils in south Korea is an irresistible demand of the candlelight demonstrators.